Made of dark green Moss Agate, which is said to help improve one's self esteem. 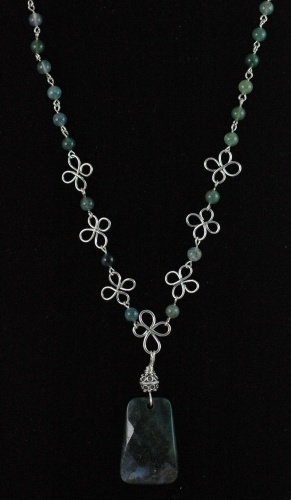 The piece is measures 18" total length, has beautiful clover like sterling silver links and, a sturdy magnetic clasp. • Email to a friend.